Our Team Party includes full color invites, 1 hour & 15 minutes in our play arena and 45 minutes for pizza, drinks, and awards presentations in our party room. We provide all paper products, party set up and clean up all in a private, safe, clean and climate controlled environment. 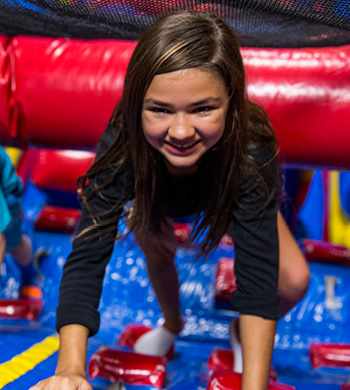 Includes: 1 hour & 15 minutes of jumping in our play Arenas, 2 slices of pizza and a drink for each participant to be enjoyed in our party room as well as a Pump It Up patch! 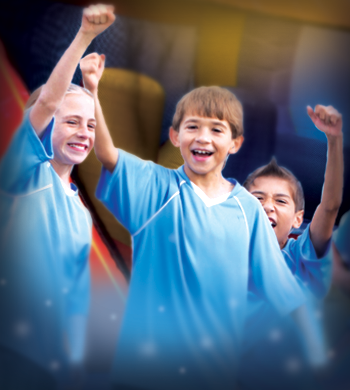 Offering a 90-min (1.5 hr) jump time only for $10 per child, or a 120-min (2 hr) jump time for $12 per child. You can also add 2 slices of pizza and a drink for additional $5 per child to enjoy in the party room. You will get additional 30 minutes in the party room if you buy food for the kids. Please call 925-681-1060 or email concord@ipumpitup.com for availability or further information. 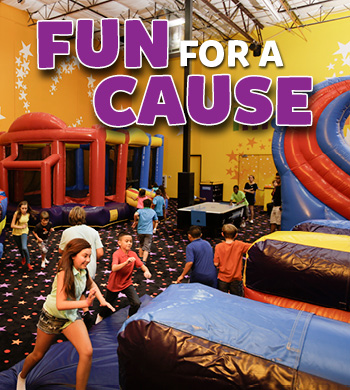 Pump It Up of Concord makes organizing your Fundraising event fun and easy! We give back 50% (minimum 40 kids). This is the best Fundraiser percentage in town. If you are expecting less kids then don't worry!! Contact us to discuss the details. Setting up a Pump It Up fundraiser is simple. Pump It Up of Concord is excited about helping you reach your financial goals for your non-profit organization. Feel free to contact us with any questions and/or plan your next fundraiser. No refunds are paid if less than 10-kids. 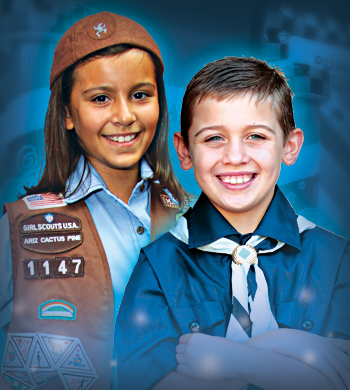 $10 per child | $14 including Pizza and drink!